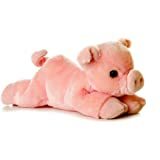 Amazon's Choice for "stuffed pig"
Sold by Milesi Gifts and ships from Amazon Fulfillment. 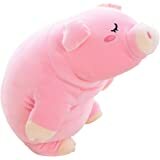 Lazada Pig Plush Stuffed Piggy Super Soft Throw Pillows Hugging Toys for Kids Pink 18"
Aurora’S signature Rolly pets collection has adorable animals with super soft boa fabric and hand airbrushed blush cheeks. 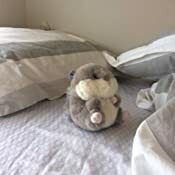 With a fantastic round posture, the Rolly pets sit "just right" in your hand. Aurora's commitment to safety includes every product passing through 3 metal detectors to ensure no harmful debris has found its way inside. Using eyes which are bolted into place, glued, and then heat melted together, there is no stitching that can be worn out over time; they are locked in place.Aurora Takes corporate responsibility very seriously. 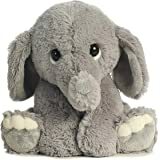 Unlike any other major plush company, they own their factories. This allows control over workplace conditions. All factories have passed numerous safety and worker condition audits and exceed the highest global industry standards. 5.0 out of 5 starsIT WORKED!!!! This is bigger that I thought it would be judging from the pictures but it is soooo adorable! It is a little ball of cuteness. 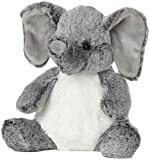 Do take into consideration that the fluffly tail makes it potentially hazarduous for small children (as indicated by the manufacturer as well). 5.0 out of 5 starsMax levels of cute! 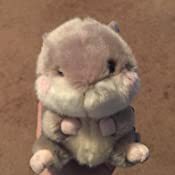 This squirrel plush toy is so cute, I bought two of them! The pale gray, rose and cream colors are very calming. 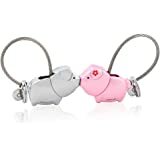 Its rounded form, topped with blushing cheeks just seals the deal. The tag says it is surface washable, handmade in Indonesia with new materials only (polyester fibers and plastic pellets). The polyester fur is nice and soft. I thought maybe it wouldn't sit well because it looked so round, but it does. 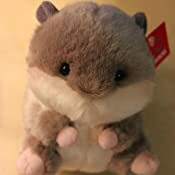 This squirrel design is at max levels of cute, I love it! 5.0 out of 5 starsCute as heck! 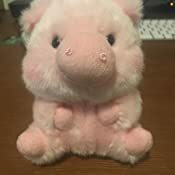 This is the cutest pig stuffie ever! The picture does not do it justice! My 20 month old loves it! 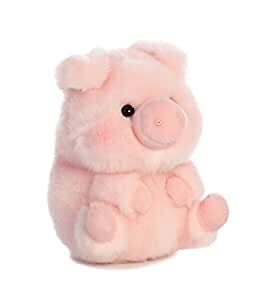 She cuddles it and yells pig! Absolutely adorable. Good quality. Just the right size for a child to play. My son loves his hedgehog and so do I :). 5.0 out of 5 starsAll around awesome. 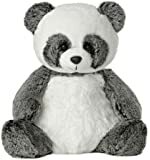 Super soft and cuddly my kids love these they hold up well and are easy to clean. Also shipping was waaaaaaay faster then I was quoted. Surprisingly I bought this as a gift for my mother, whom loves lambs. She, and I, love it. It's soft, and a little bigger than I thought it'd be. It's a perfect little thing. Love it!